Want to buy a something special for a friend or loved one who's just had a baby, but can't decide what to get or what they would like? Then our gift vouchers are the perfect present! Choose your amount, add to your shopping cart, and the voucher will be emailed to you to email to your recipient or simply print and post. They can then create their perfect baby hamper and choose from a variety of designer brands and products such as newborn clothes, soft baby toys. 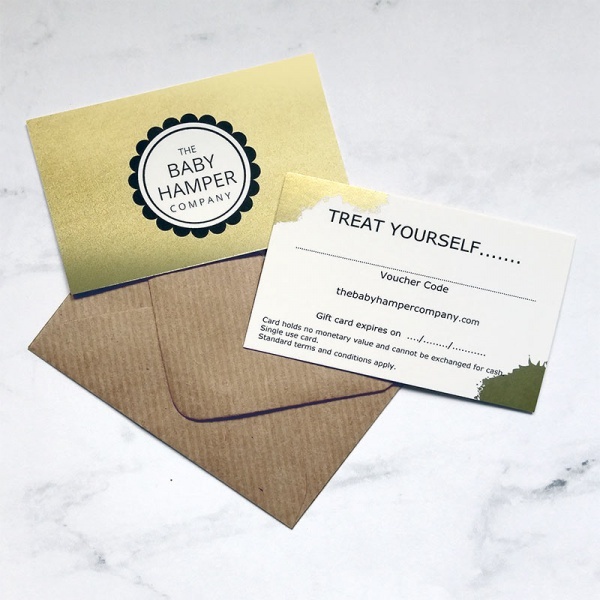 baby bath time products or new mummy treats, the list is endless.